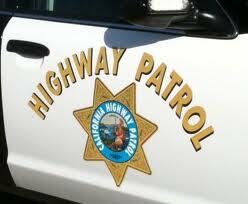 At about 12:15 a.m., Polmanteer was headed northbound on El Camino Real south of Asuncion Road southeast of Atascadero. Polmanteer lost control of his vehicle, drove onto a dirt shoulder and off the roadway. Polmanteer’s vehicle then rolled before crashing into a fence. The force of the crash partially ejected the Atascadero man from the vehicle. Investigators said Polmanteer was not wearing his seatbelt correctly. Responders pronounced him dead at the scene of the crash. An investigation into the crash is ongoing. It is unclear what caused Polmanteer to lose control of his vehicle, but investigators do not believe drugs or alcohol were factors in the collision. The seatbelt did its job, he was only partially ejected. Perhaps if he’d been wearing it correctly he’d still be alive. The only thing worse than wearing a seatbelt incorrectly is not wearing it at all. Seatbelts save lives. Buckle up correctly people! None of us know what happened in Mr. Polmanteer’s vehicle so please save your seatbelt lecture for another time. He leaves behind two grown kids who also lost their mom to cancer last year. Very sad.